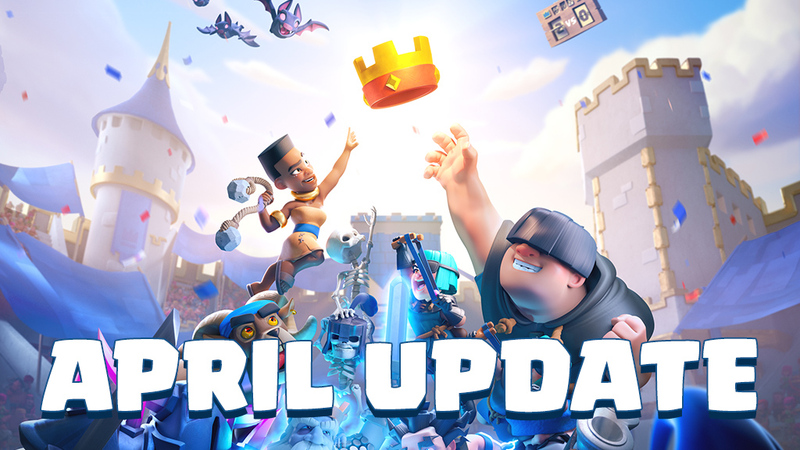 The next CR update is right around the corner, and I will continue to add info as soon as I can see it. Leave your speculations, guesses, thoughts, etc. below! The hype is real. This is very similar to Brawl Stars' trophy road, where you gain rewards once you hit a certain trophy level. They are pretty lucrative, for example once you hit 4K you get multiple guaranteed legendaries. There are now "Trophy Gates." You cannot drop lower (either intentionally or by tilting) than the most recent arena you are at, meaning you are virtually guaranteed to move up in trophies. Also, in Leagues, you lose a lot less trophies for losses, like maybe 8 for a loss, especially earlier in the leagues. The season draft chest has been removed. However, you can continuously earn the trophy road prizes each season even if you earned them last season, so you can potentially get double the rewards the draft chest offered. Earthquake is a three cost spell. It only damages buildings and ground troops. Like in Clash of Clans, it does 400% damage to buildings. It hard counters Elixir Collector (only collects one elixir) and severely damages Furnace too. -Emotes that cannot be bought in the shop with gems, like the 3rd anniversary emotes, have a legendary border around them. "Help, I can't find Leaderboards or Training Camp!" Elixir Collector is officially DEAD!!! To be fair, it is a really good update, there are a lot of fun stuff, a nice ladder rework, some QoL updates. But personally, I may not enjoy it too much because of play style preferences. That is what I feel most often with most balance changes and new stuff lately. Earthquake hard counters defensive buildings and siege buildings, I don’t think there is any reliable defense anymore. SC really wants us to spam and attack. Not only the new spell, the new game modes are all promoting spamming troops and no defense. It is not the style/strategy that I enjoy most. While there is fun stuff, none of it imo really addresses what makes ladder so bad. There is nothing new for 2v2. I hoped to get more challenges with 2v2. As I am not perfect playing alone, I hope for a good team mate. And is the update today????? They said every 48h a new challenge but after 3 challenges the system stopped. I really like to play those challenges. I dislike the new earthquake card very much, I hope it doesn't make it impossible to play X-Bow. Lightning and Poison are already very problematic. Maybe ladder can't get better because only 1000 people can be in the top 1000!!!! Somehow I am not hyped for this update. I didn't watch the trailer on youtube. I have to do that soon. But really not my update this time. I hope my feeling changes if it's out and I can see some positive results. Let X-Bow die. Siege was, and still is the most unfun archetype to play against, anyway. And no, even though I support its death, X-Bow, unfortunately, won't die. Earthquake is only good against buildings. It does so extremely terribly against anything else. 183 damage, takes 3 seconds to deal its full damage, only targets ground, and costs 3? Nobody would use it. I'm excited for the 18 card mega deck... say good bye to cycle spam. Earthquake is something like poison against buildings??? But X-Bow is a building. How does Earthquake affect the princess towers?? Normal damage, not the heightened damage. Yes, Lava Clone is nerfed, finally. Supercell decided to nerf Clone. The game is still down but what do you think of the starting screen picture. My favourite colour is green. Maybe that's a reason why I love Clash Royale so very much, because the game is very green. Now the picture is blue! I was shocked and all the times I start to play, I have to see this screen. It's a repellent or repugnant feeling. But SC may be lucky because many people have blue as their favourite colour. I wonder what will happen with my Clash activity. What do you think about this colour. Positive or negative or you didn't recognize it as an important change??? I climbed 300 trophies today. Now I am at 5000. But only chest speed up, it's too late to push to the next reward. 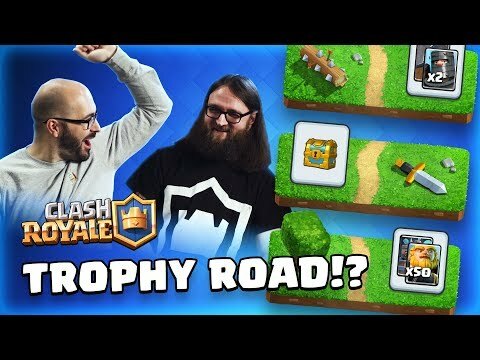 Trophy roads are a new thing but no totally new invention for clash, it will get boring after some time. But let's see what happens, as I have to admit, they somehow bribed me with a lot of trophies!! !